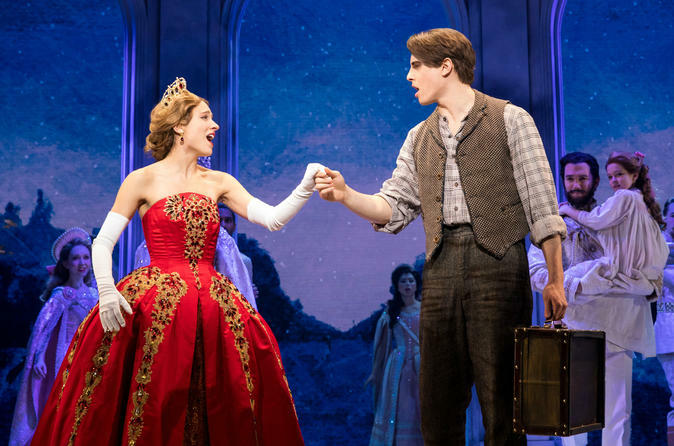 Inspired by the beloved films, the romantic and adventure-filled new musical Anastasia comes to Broadway. From the Tony Award®-winning creators of the Broadway musical Ragtime, this dazzling show transports us from the twilight of the Russian Empire to the euphoria of Paris in the 1920’s, as a brave young woman sets out to discover the mystery of her past. Pursued by a ruthless Soviet officer determined to silence her, Anya enlists the aid of a dashing con man and a lovable ex-aristocrat. Together, they embark on an epic adventure to help her find home, love and family.